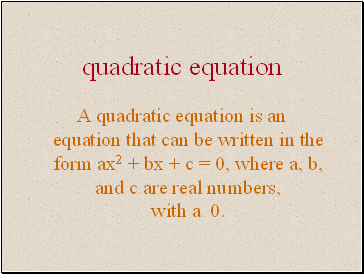 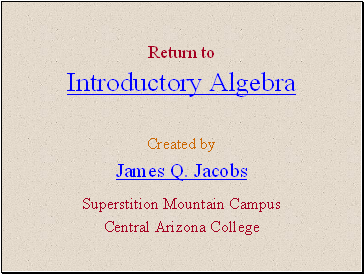 A quadratic equation is an equation that can be written in the form ax2 + bx + c = 0, where a, b, and c are real numbers, with a 0. 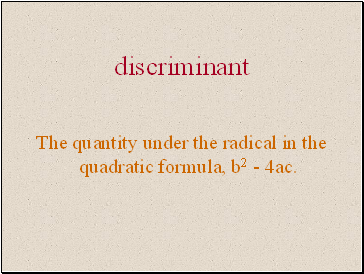 The quantity under the radical in the quadratic formula, b2 - 4ac. 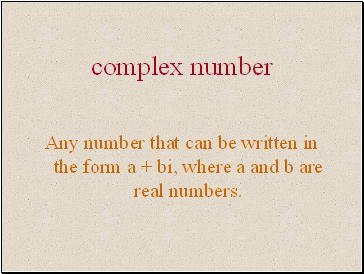 Any number that can be written in the form a + bi, where a and b are real numbers. 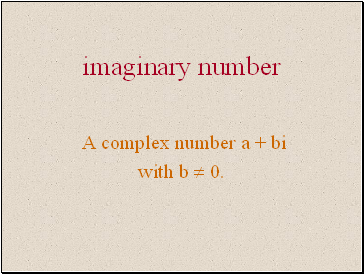 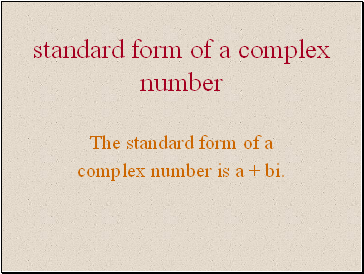 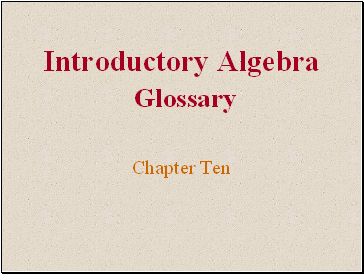 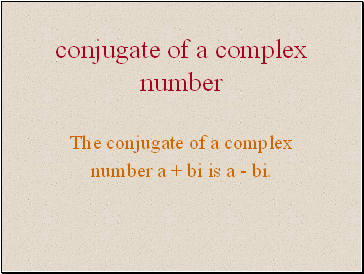 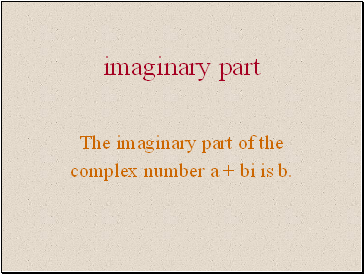 number a + bi is a.
complex number a + bi is b.
complex number is a + bi. 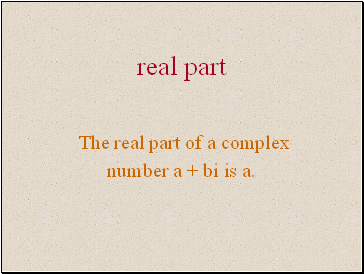 number a + bi is a - bi. 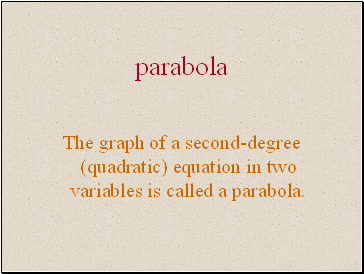 The graph of a second-degree (quadratic) equation in two variables is called a parabola. 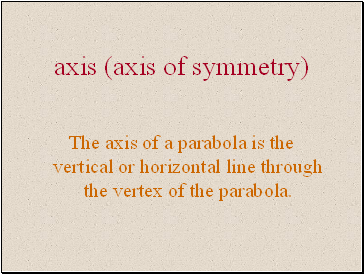 The axis of a parabola is the vertical or horizontal line through the vertex of the parabola. 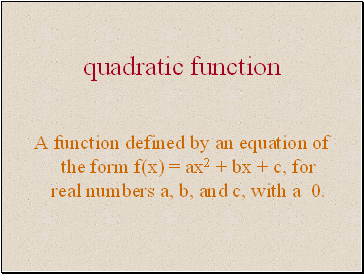 A function defined by an equation of the form f(x) = ax2 + bx + c, for real numbers a, b, and c, with a 0.